This comfortable, fully-escorted and guided safari tour through Rwanda features lands of rolling hills, tranquil lakes, rainforests and jungles, gorillas and other primates, and glorious butterflies outnumbered only by the plentiful birds. We make route for Dian Fossey’s stunning Parc National des Volcans, where we embark on a trek to encounter the mighty mountain gorilla and follow one of five gorilla families. Airport transfer with private vehicle and guide. Depart from Kigali city with a private vehicle and guide. 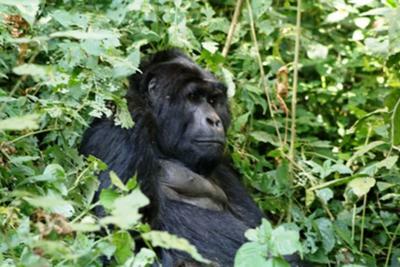 Transfer to Volcanoes National Park the home of gorilla tracking activity in Rwanda with private vehicle and driver. Included : all tour activities as indicated above – gorilla permits, a visit to Kigali Genocide Memorial, lake kivi activities, accommodation in hotels (with breakfast, lunch and dinner included), sightseeing as noted in the trip itinerary, park fees, entry fees, ground transportation, bottled mineral water, airport transfers (only if they are on the same day as tour start/end day.